Following a crisis meeting over the fleecing of tourists on Koh Samui the deputy governor of Surat Thani has said enough is enough. Suthipong Khlai-udom told Manager that cabs will use the meter in future and never again will a tourist be ripped off. The issue came to the fore earlier in the week when pictures of a sign board showing huge prices for trips around the island and to its popular beaches went viral on social media via the Andaman Princess page. 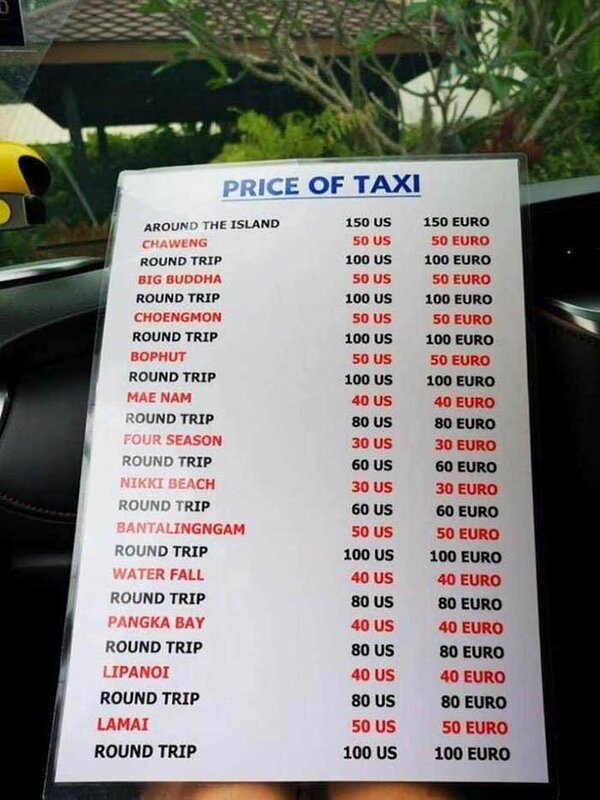 A non-meter trip around Samui would cost 150 dollars or 150 Euros. The drivers made no distinction between the two currencies despite a Euro being worth about four baht more. Round trips were simply double the single fare. "Farangs won't come to Thailand any more - they will chose to go to Cambodia and Vietnam". 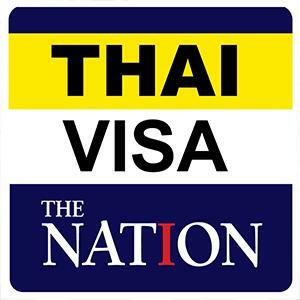 "Thais are killing tourism because of greed". "Smart operators don't have pricing like this. They are shooting themselves in the foot then complaining there are no tourists". "Tourists talk to each other, compare prices and go for the best ones". Such comments prompted the deputy governor to send a representative of the island's Department of Land Transport (DLT) to investigate. Worakiti Chaichana found it was all true - the signs were in taxis that picked up tourists fresh off luxury cruise liners who had dollars and Euros in hand. But some regular taxi drivers were taking advantage of the situation in the same way and not turning on meters and fleecing tourists with huge fares. After a two hour meeting the deputy governor said he had ordered taxi drivers on the island to use the meter, dress properly and speak decently to tourists. Infractions of the rules would mean immediate withdrawal of licences, he said, mentioning that such stories were damaging for tourism and would not be allowed to continue.